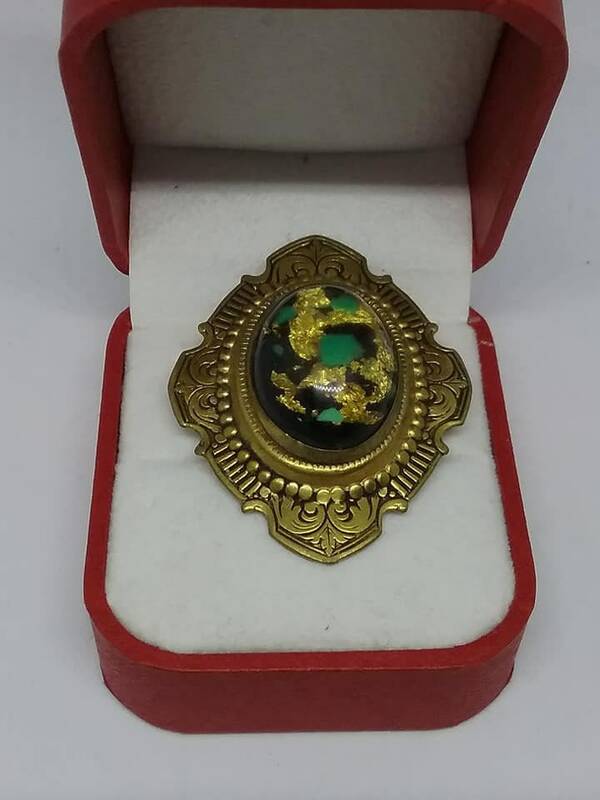 Vintage Oval Brooch, on Victorian Stamped Setting. 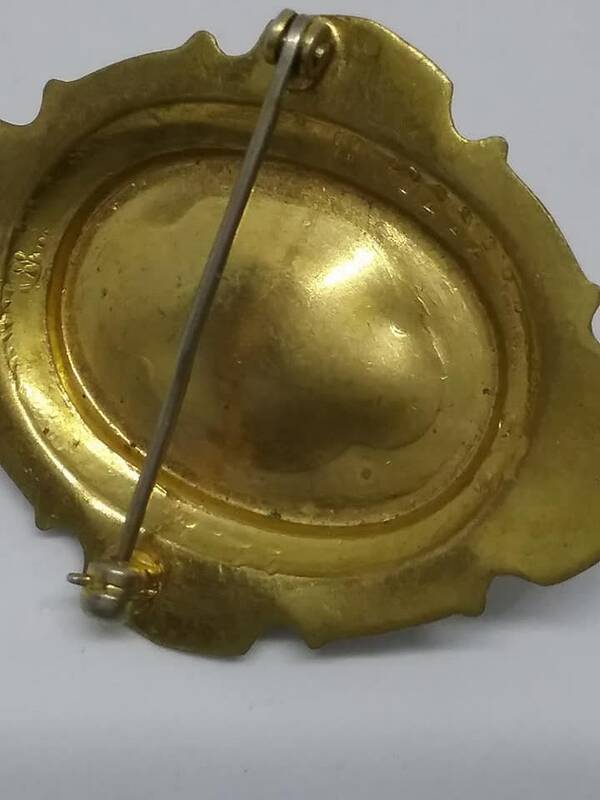 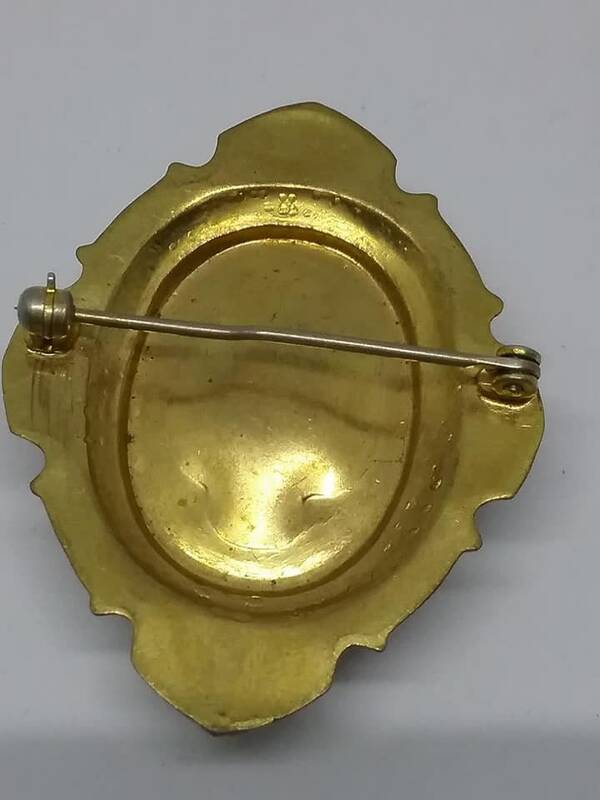 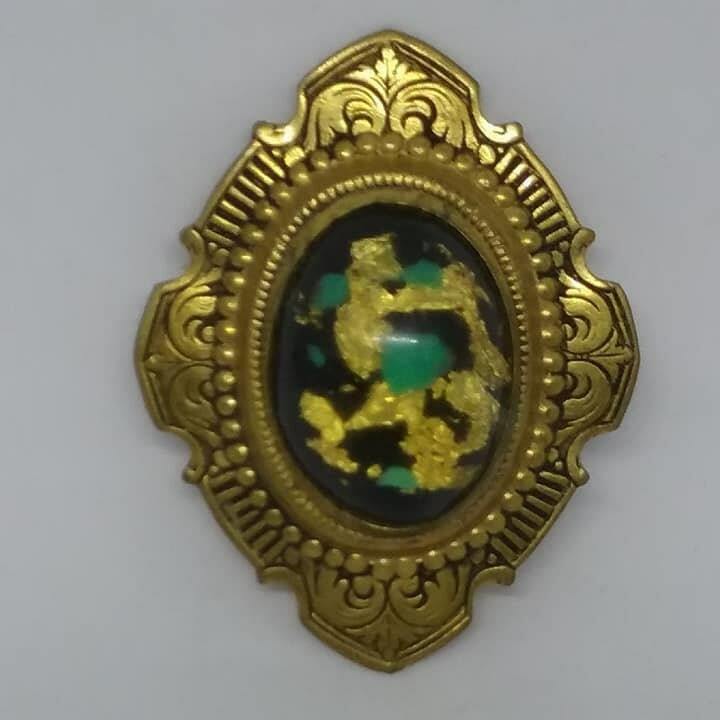 A very unique vintage cabochon brooch on a stamped gold tone setting. 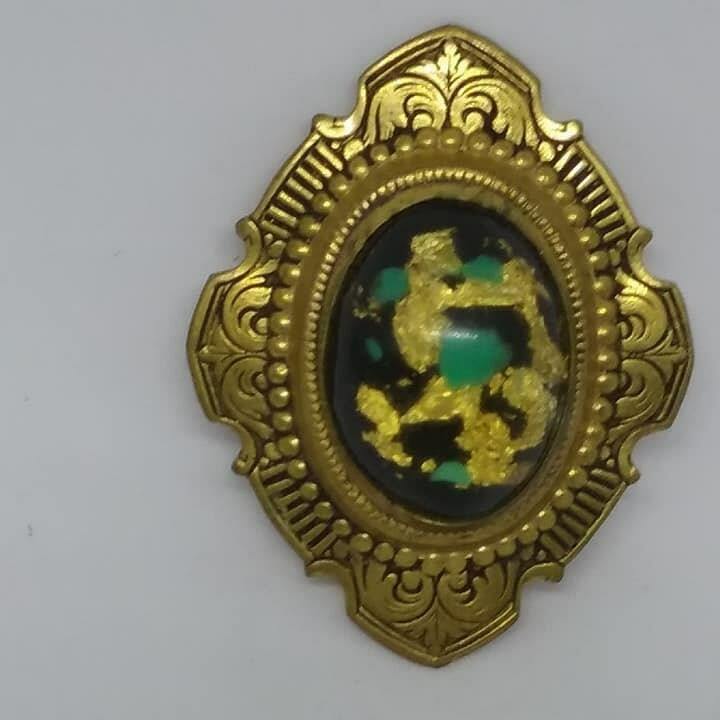 Within the cabochon is a black background that features layers of gold gilt and teal colored flakes. 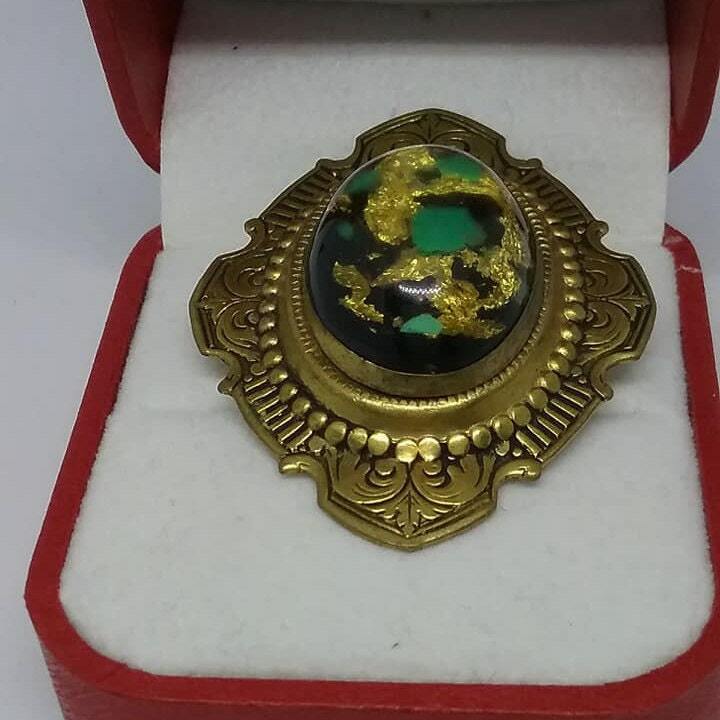 The clear cabochon sits approx .25" high, and allows one to clearly see the gold flakes layered within. 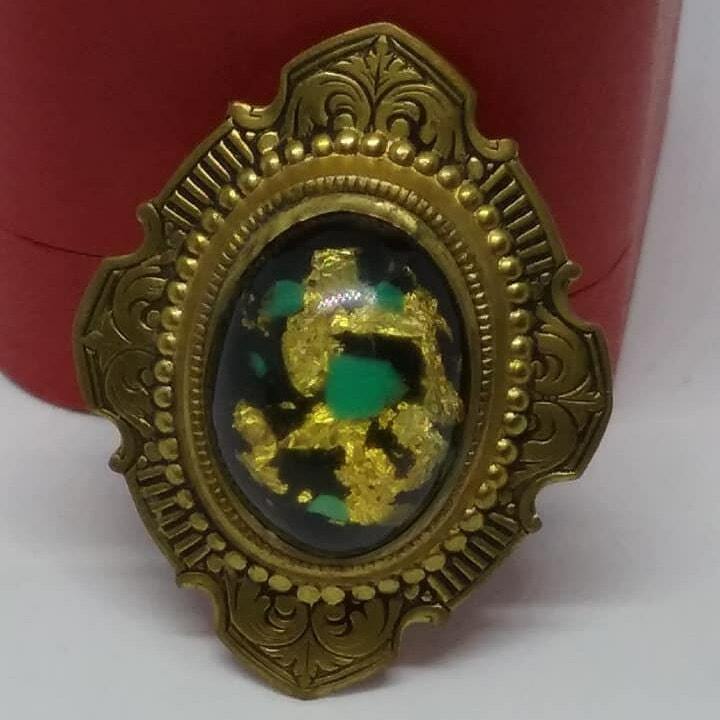 Please see the pictures for condition...very good vintage condition. 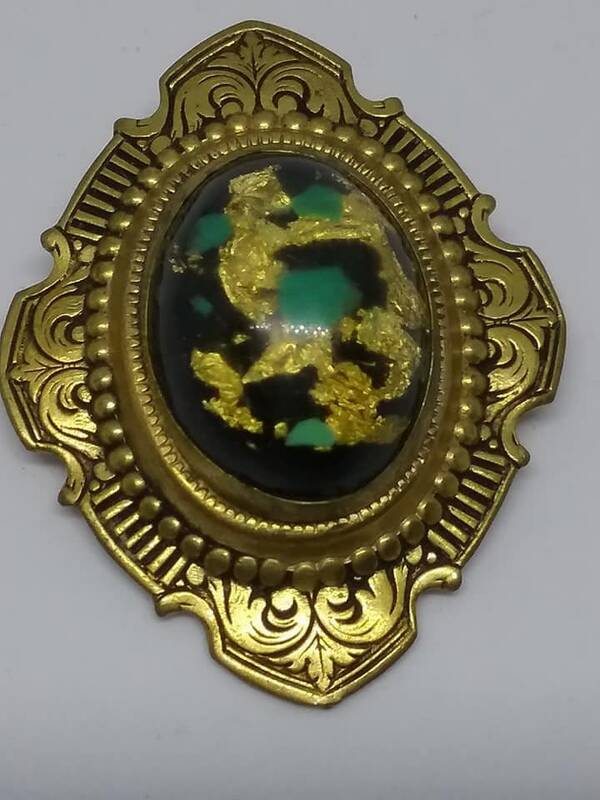 Any way you look at it......it is a stunning piece that will make heads turn.